Intruder Alarm systems are used to protect people and property from intruders. A professionally installed and monitored intruder alarm system can often provide enough of a visual deterrent to reduce the risk to you and your property. Through our experience Cintrix Systems can design, install and maintain your commercial and industrial intruder alarm systems. For optimal system performance and compliance with the current standards, it is essential that any intruder alarm system is designed by experienced people who have sound knowledge of the relevant standards. Every intruder alarm is tailored specifically to the client’s requirements and budgets and will comply with BS EN 50131 and BS 8243. All of our Design Engineers have proven experience and industry training and being NACOSS approved, our work is always of the highest standard. From small systems to complex networked systems, Cintrix Systems will install and commission your intruder alarm system to your requirements and to the current standards. We guarantee all our work and will ensure that you are completely satisfied with any work carried out on your premises. All our work will be certified as required. 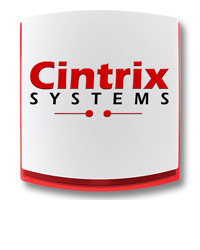 Cintrix Systems can monitor your intruder alarm system and can provide Police response if required. Please see our alarm monitoring page for more information. Regular maintenance and testing of the intruder alarm equipment is essential. It is vital that regular testing be undertaken to ensure that there has not been a major failure of the system that may otherwise go unnoticed and can often prevent future faults. We offer flexible maintenance packages to suit your business needs. Our intruder alarm maintenance package will ensure that your system is both compliant and safe.